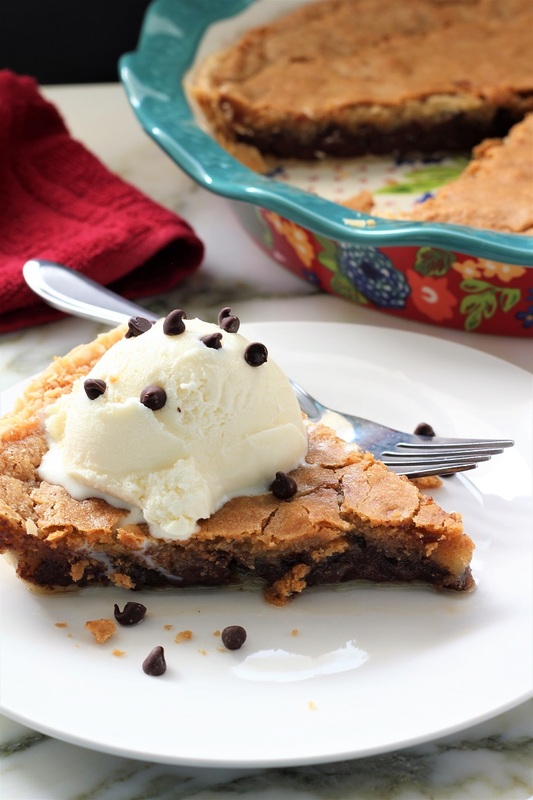 Toll house pie is just like eating a big cookie; only it is a piece of pie! Yum. I have to say that this is a fun change from eating chocolate chip cookies. And even better while it is nice and warm, you just might want to add a scoop of ice cream. To change things up a bit, you could also add chocolate sprinkles and some whipping cream. Easter is just around the corner, why not make a nice toll house pie for your Easter dinner. It comes together really fast and your guests will love it. 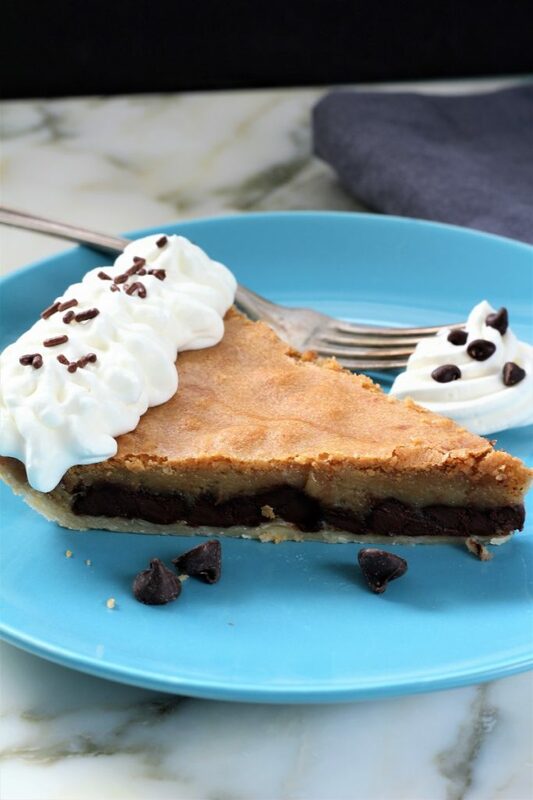 It is a great dessert to fix because depending on how hungry you are, you may just want a slice of pie or you might even want to add some ice cream. I love adding ice cream while it is warm. It just melts the ice cream and it tastes so good. I think that I enjoyed this pie so much, that I will be making another for Easter. Too bad my son doesn’t live just a little bit closer and I would take him and his wife a slice since today is their anniversary. They have been married for four years and I just do not know where the time has gone. As you can see in these pictures, there are a few different ideas that you can use for making this amazing toll house pie. It really is as easy as putting it all together and letting it bake for an hour. If you can remember, in another one of my posts, I told about how I use to make chocolate chip cookies. After I made the cookies I would put them in the oven for about 7 minutes, then I would take my bowl of ice cream and take the cookie out of the oven and put it right into my ice cream. Then I would stir it all together and enjoy! It really is one of the best treats ever The melted chocolate chips and vanilla ice cream, or if you are like my husband and can never get enough chocolate, then you might even just want to have a warm cookie with chocolate ice cream. Also for my birthday, my son gave me this beautiful pie dish and so I just had to try it out. It made this pie turn absolutely beautiful. Thank you son for the fun pie dish. I am really amazed at how some people really put a lot of thought into gifts. I must say that this birthday every one of my family did amazing. I was very pleased with everything that I received. And you know that the older folks get, the harder it is to get them a gift that they can really enjoy. My husband had a family friend pass away last week. He decided to attend the funeral. When he got there, he was visiting with some of the family. And they told him this cute little story. They talked about how this gentle man had gone to three different church meetings between Saturday and Sunday. He and his wife had 8 children, 2 of which have already passed away. They were a cute couple who really had been through a lot. One of their other children put out his eye when he was 10 with a bottle rocket. Come Monday morning he and his wife got up early and they were reading the Bible. After they finished he looked at his wife and said, “I feel really happy, and I really love you”! Then he said “Oh my heart” and he passed away. As I heard that story, I thought that was nice that he told his wife that he was happy and that he loved her. And what a way to go. So quickly, but he left behind 39 grand kids and I do not know how many great grand kids. I say good for him. So when you get together with family, you may just want to make them a delicious toll house pie. Enjoy those you love, because the older I get, the shorter life gets and we do need to learn to enjoy it – every moment. 1- I made whipping cream for the one slice of pie by whipping 1/2 pint of cream and adding 4 Tablespoons of powdered sugar and 1 teaspoon of vanilla after whipping it to the desired consistency. 2- If your pie has cooled off and you want to have it warmed up, place it in the micro wave for 15 seconds and then add some ice cream. 3- You may also want to use Reddi Whip for garnishing, but I used real whipped cream. Then add flour, sugars, melted butter, and mix well. Then add the chocolate chips and the nuts. Place the pie crust into the pie plate. Then add the mixture to the pie crust. Bake it in a preheated oven @ 325 degrees for 1 hour. Take out and serve with ice cream or whip cream or additional mini chips! 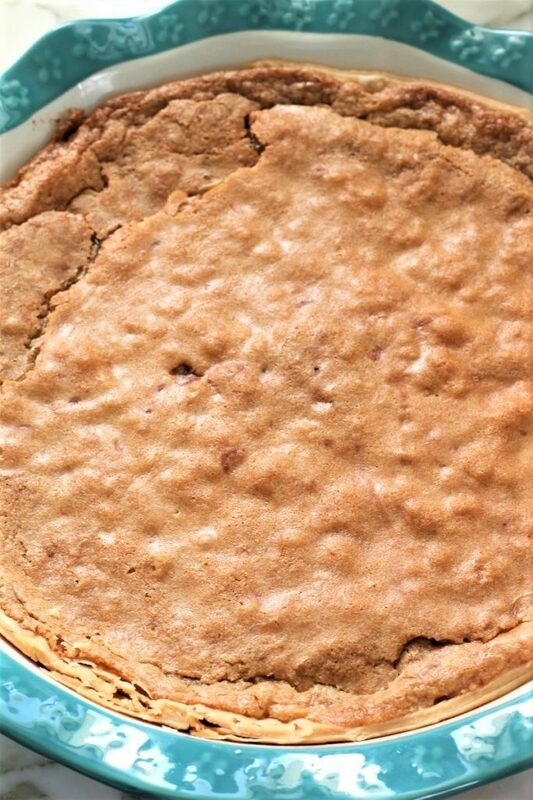 I love cookies so making one GIANT cookie into a pie send like a perfect idea to me! Now, this is how I want to enjoy my cookie! Wow! Just, WOW! 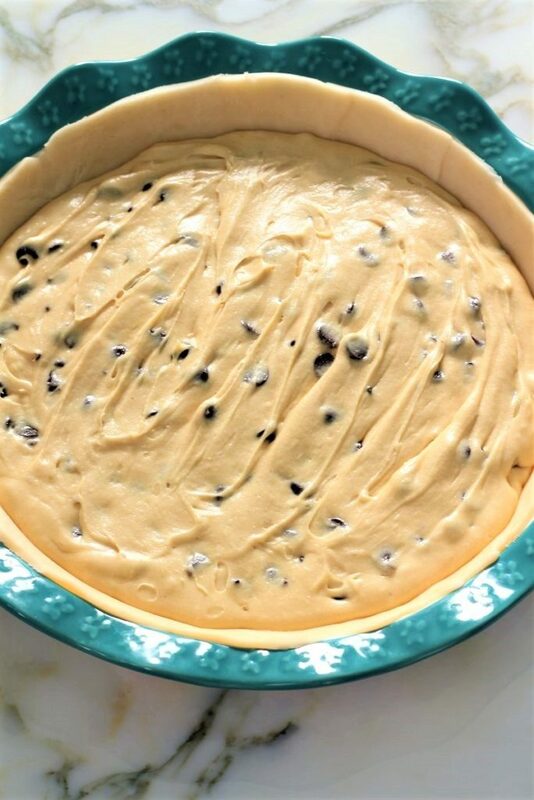 Those soft chocolate chips and yummy dough all wrapped up in a delicious crust! Awesome job!!! Thank you so much! We will take our cookies ALL the ways we can get them! Right? Thank you for stopping by! Toll House pie was always a favorite of ours when we were growing up. I really should make it more often. Yours looks yummy! Ha,ha I have only had it a few times, but it sure is yummy! Sounds like you were a lucky girl growing up!